Nothing beats New York City when it comes to holiday shopping. And lucky for you, The New Yorker Hotel is a short walk or train ride from some of the best in class. Use this guide for information and tips on how to navigate some of our favorites shops to hit this holiday season. You can find a bevy of department stores and designer shops just around the corner from the hotel on Thirty-Fourth Street along Fifth and Sixth Avenues in Herald Square. 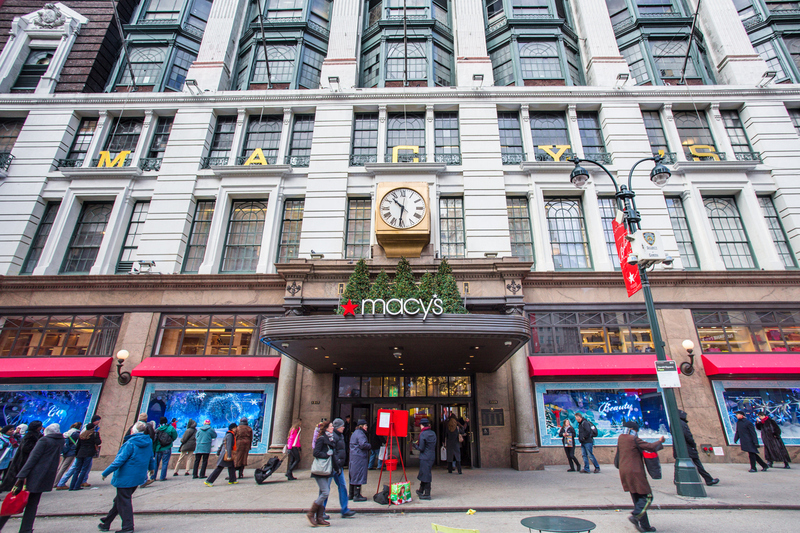 Macy’s is just one block away, brimming with holiday cheer and presents the entire family will love. It’s also their flagship location, so you’re offered the best assortment of products, which are strategically placed among an impressive 2.2 million square feet. Target is also a short walk away. This brand-new location boasts a boutique-style layout with hand-picked designer goods on the first floor and their classic collection of clothing, shoes, food, home goods, and cosmetics on the lower level. Two avenues to the right is the Banana Republic, which carries staple pieces suitable for any style, and favorite capsule collections including Trina Turk, Anna Karenina, Milly NY, and Roland Mouret. And don’t forget Uniqlo—their cozy fleece and ultra lightweight down-feather collection is a must-have for bearing the cold weather in high style. Take the bus or a ten-minute walk to get there. Bloomingdale's is a quick train ride on the R, N, or W. Much like Macy’s, this flagship location houses the most products of all its stores, including designer clothing, handbags, makeup, and menswear. Their customer service is equally on par, with a coat check available at the entrance and home delivery for purchases too heavy to carry on your travels back. And if you end up spending more than $300, the Visitor's Center will award you with a free gift card! We also suggest downloading their mobile app, which makes navigating the store that much easier. The Winter Village is a European-inspired open-air market featured each year in beautiful Bryant Park. More than 150 holiday pop-up shops are featured by artisans around the world. Each jewel-box-style kiosk is located along the park’s allées and terraces, full of local crafts, artisanal food, and one-of-a-kind handmade goods. There’s also an ice skating rink! Bring your own skates or rent a pair for $20. The Winter Village is open through January 2nd, Mondays–Fridays from 11am–8pm, and Saturdays and Sundays from 10am–8pm. Some vendors remain open during Thanksgiving, Christmas Eve, and Christmas Day. Bryant Park is located one train stop away going uptown on the 1, 2, or 3 and about a 5 minute walk from 42nd Street going towards 6th Avenue. The Union Square Holiday Market is located in the heart of Manhattan. Millions of tourists and locals alike visit the market each year, purchasing goods from local craftsmen, artists, and food vendors. This year the market’s been revamped with live music, a kid’s craft studio, and provisions sponsored by Little Brooklyn and Urbanspace. There’s even a free warming booth to escape the cold! The market is open 11am–8pm Mondays–Fridays, 10am–8pm on Saturdays, and 11am–7pm on Sundays, running November 16th–December 24th. The market will be closed on Thanksgiving Day, but is open until 4pm on Christmas Eve for any last-minute gifts. Take the N, Q, R, or W train going downtown, to 14th Street Union Square. The Grand Central Terminal Holiday Fair is run by a dedicated committee that spends a year scouting unique vendors with American and handmade products, most of which are eco-friendly and locally sourced. Forty vendors set up shop in the bustling terminal’s Vanderbilt Hall, where you can take in historical architecture while you browse. Vendors offer artwork, clothing, accessories, toys, and homegoods, running November 13th–November 24th, open 10am–6pm Monday–Friday, 10am–7pm on Saturdays, and 11am–6pm on Sundays. The fair is closed on Thanksgiving, and has limited hours on Christmas Eve from 10am–6pm. 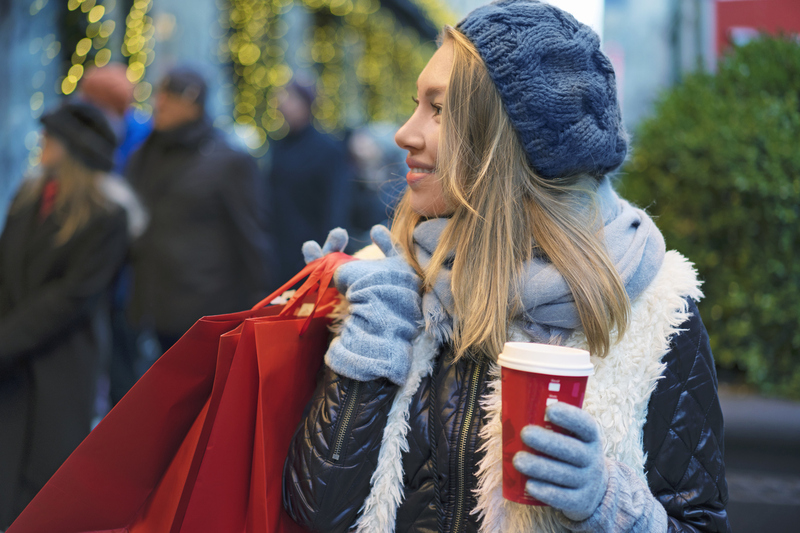 Access the holiday fair by taking the Shuttle train from Times Square 42nd Street.